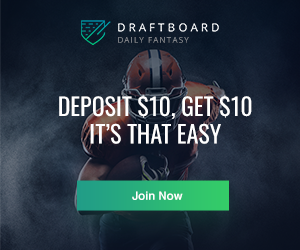 If you like this article, check out the rest of our fantasy football analysis: rankings, sleepers, running backs, wide receivers, quarterbacks and of course our live fantasy football chat, the best football chatroom on the internwebs. RotoBaller will be releasing more fantasy football content daily to help you prepare for the 2013 NFL Fantasy Football season so stay tuned! Two that stand out from this list are Shane Vereen and Andre Brown. Reports out of Patriots training camp are that Vereen is lining up all over the field, a la Darren Sproles, at RB, slot WR and outside WR. With the losses of Wes Welker, Brandon Lloyd and Aaron Hernandez, combined with the perennially dinged-up status of incumbent pass-catchers Julian Edelman and Rob Gronkowski, Vereen has a big opportunity to become a trusted option for Tom Brady, just like Danny Woodhead and Kevin Faulk were in past seasons. Unlike rookie Giovani Bernard from this same tier, Vereen has proven against NFL competition that he can put up big numbers on few opportunities. Caution flags include the fact that Vereen hasn’t been able to play the full 16 games in either of his two seasons thus far, and also Bill Belichick’s game management, which can be known to freeze out players not part of the plan. David Wilson is being drafted four rounds earlier than Brown, but the Giants plan to split carries between the two backs, and for good reason. Wilson is considered the more explosive of the two runners, but Brown actually averaged 5.3 YPC to Wilson’s 5.0 last year. The fact that Brown has two inches and 18 pounds on Wilson means he’ll be the back to have his number called in goal-to-go situations. The Giants were fifth in rushing touchdowns and sixth in total points last year, so with Brown getting a bigger share of the TD pie, it’s he-- and not Wilson-- who represents the more cost-effective option. From this group, look for Vick Ballard and Danny Woodhead to emerge as fantasy factors ranging from reliable surprise starter to in-a-pinch plug-in. The biggest factor in favor of Ballard is the fact that he’ll be sharing backfield duties with Ahmad Bradshaw, who has battled injuries his entire career and is already sidelined. Even if Bradshaw takes the lead role, Ballard should still see plenty of work. New Colts Offensive Coordinator Pep Hamilton called plays at Stanford during Andrew Luck’s tenure, and ran a decisively run-heavy offense, not once passing more often than running in the three seasons Luck started. Even if Hamilton throws more by virtue of the NFL being a passing league, the Colts should still be more run-oriented than they were last year, when they ran 440 times. Since Bradshaw was only able to tote the rock for an average of 215 carries over the last four seasons, Ballard still has 200+ carry upside, putting him in position to match, if not exceed, his RB25 ranking from last season. Woodhead should warrant consideration not only because Ryan Mathews has done little to inspire owners in his three NFL seasons, but also because he’s taken the reigns of the pass-catching duties after impressing San Diego’s new coaching staff. Woodhead has finished in the top 25 at his position two out of the last three years, by posting 700-900 yards from scrimmage and about a half-dozen total touchdowns. While those numbers were posted as a member of the prolific New England offense, his move to San Diego shouldn't cause too much concern. The last time Philip Rivers had a back with Woodhead’s skillset, Darren Sproles put up numbers in San Diego that matched what Woodhead did in his time with the Patriots. In other words, a Philip Rivers-led offense (and frankly, most offenses in today’s NFL) can support a fantasy-reliable third-down and pass-catching back. At this stage of the draft, the best strategy is usually to bet on talent and hope that the opportunity lottery ticket will pay off for the player in question. Unfortunately this season, the talent among the pool of backs listed above leaves a lot to be desired. Alternatively, the backs whose talent is not in question are instead trying to bounce back from devastating injuries. Surprisingly, that leaves two bruisers as backs that jump out as having a chance to contribute to fantasy rosters this season. Jonathan Dwyer hasn't exactly been explosive in his time in the NFL, but last year, despite leading the Steelers in attempts, he outperformed all other Pittsburgh running backs in yards per carry as the only one to top 4.0. The Steelers drafted Le’Veon Bell in the second round this Spring, and hope he earns the starting gig, but Dwyer isn’t going out without a fight. He shed 30 lbs. this offseason in an attempt to compete for his job, showing that he believes in his talent and is willing to do what it takes to keep the rookie at bay. Bell has some question marks surrounding him too, touching the ball over 400 times in his junior season at Michigan State. That kind of wear and tear usually portends an underwhelming season in the following year. Furthermore, Big Ten running backs have a reputation for disappointing upon graduating to the NFL, from Laurence Maroney to Beanie Wells. Update: Bell unfortunately came down with a right foot injury, and is expected to miss up to six weeks with a small ligament tear. He should be downgraded in fantasy football drafts to a mid-to-late round pick, but still has the upside to contribute when healthy this year. The last name in this article is truly stunning, as he’s deservedly been ripped over the years as an underwhelming plodder on a bad offense. However, Shonn Greene, believe it or not, has an actual chance to make an impact on fantasy teams this season. Given about 250 carries in each of the last two seasons, Greene finished in the top 20 at his position. He likely won't get that many this year, but should Tennessee go back to the thunder-and-lighting approach it once had with LenDale White spelling Chris Johnson, Greene could approach the 200+ carries that White accrued under that framework, when he finished in the top 20 himself. Even performing half that well would mean Greene outperforms his ADP by about eight rounds. 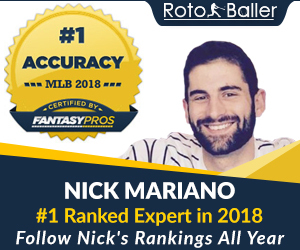 By popular demand, RotoBaller.com has now launched the fantasy football chatroom! 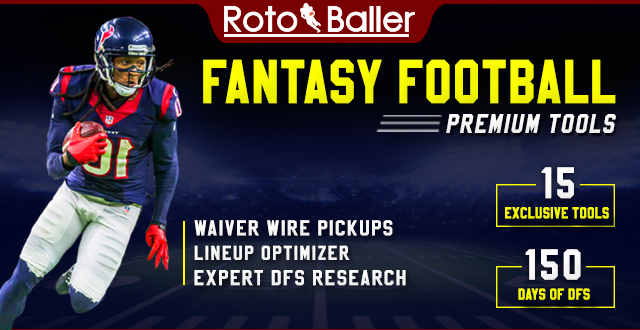 Get involved with some real-time NFL talk, ask your fantasy football questions, read other discussions, or feel free to chime in and reply back with your own 2 cents. 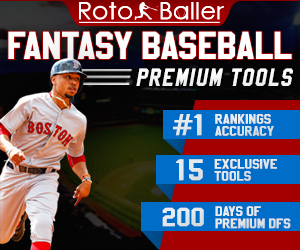 Remember you can ask the RotoBaller staff any questions, and we’ll reply back to you as quickly as possible. Make a call to the RotoBaller chatroom and get some live advice.